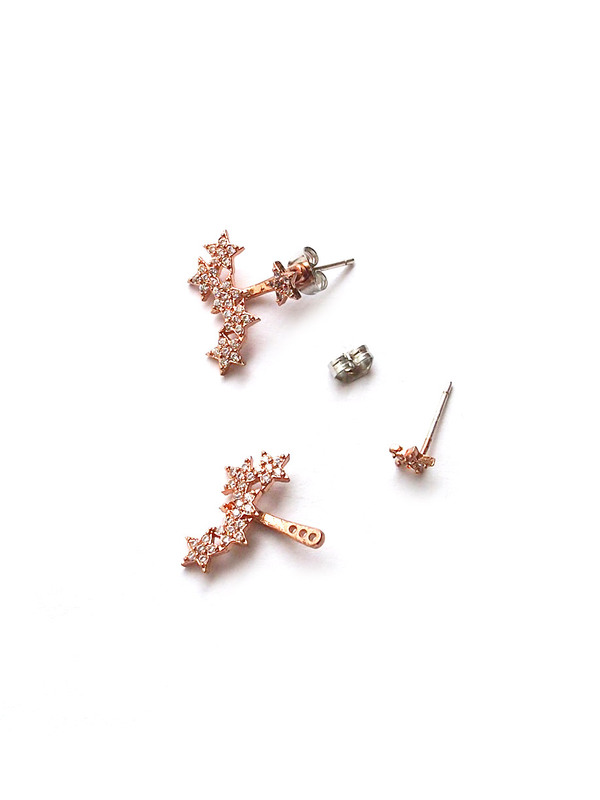 Both sides of the earrings are identical as seen in product shots with white background. 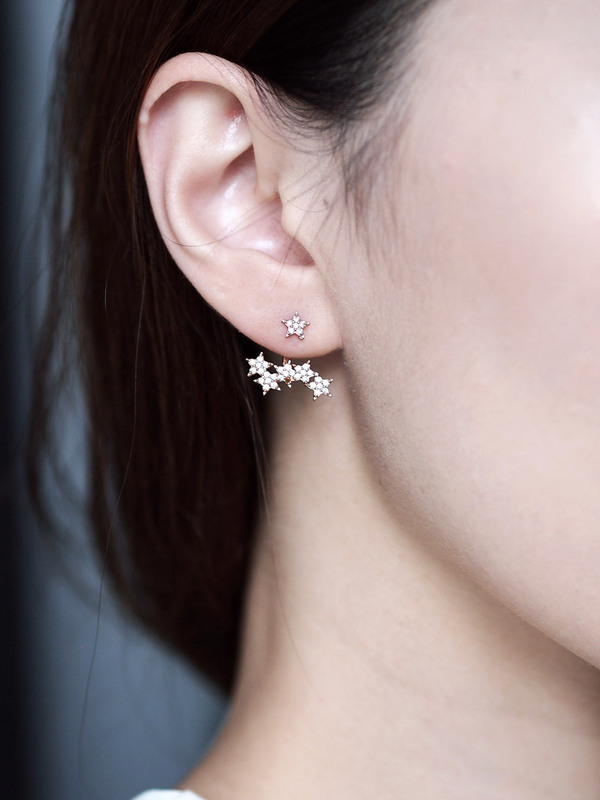 *EDITOR’S PICK* – The numerous tiny sparkling crystals lining the stars make this earring ultra chic and shiny. 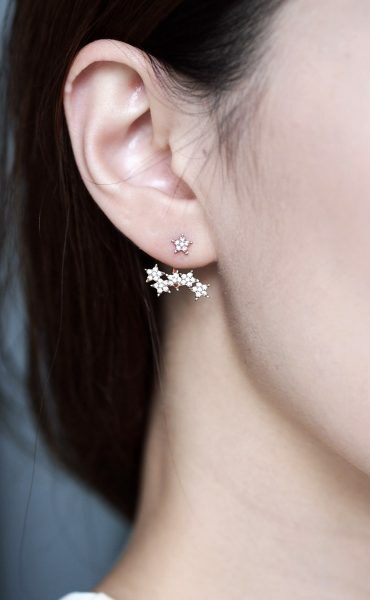 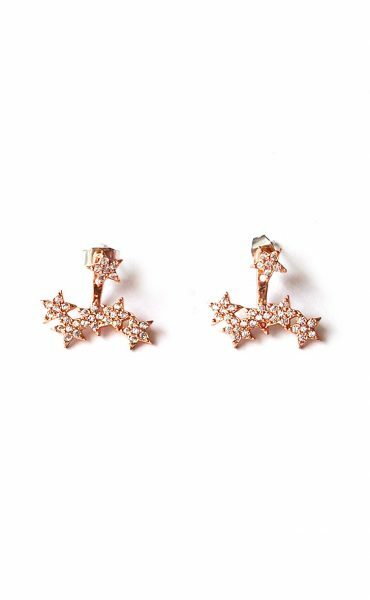 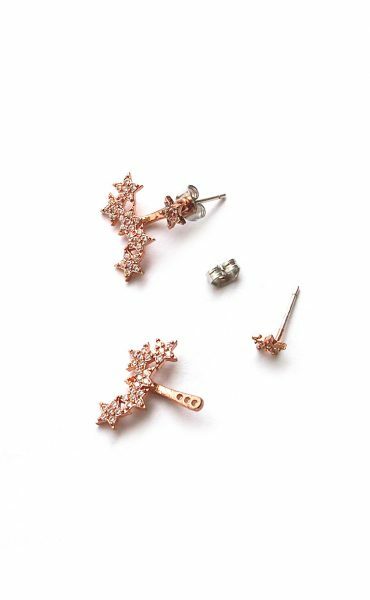 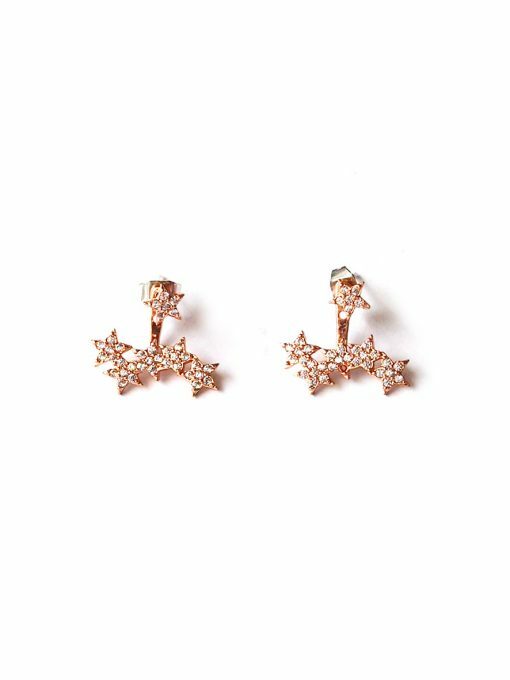 Choose to wear it as a simple star stud, or with the bottom piece for that extra glam!